If you want to experience the best of Bali, don’t just stay at a hotel. 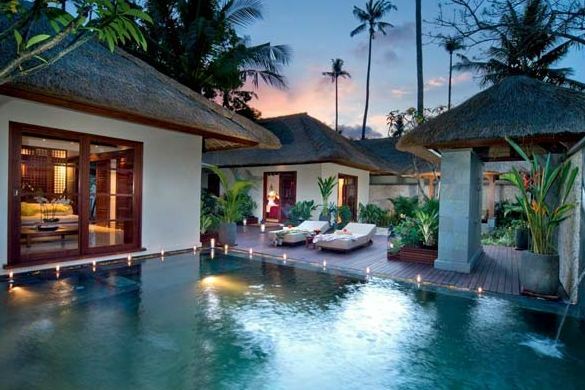 Go to Bali’s best beach resorts. There is quite a selection to choose from, but narrowing them down to the very best, here are the beach resorts that offer the best Bali experience. Jimbaran Puri Bali: The Jimbaran Puri Bali is a romantic and luxurious resort offering individual villas and cottages perfect for the ultimate getaway. Combining privacy and sweeping views of the sea, this is an excellent choice for honeymooners. The accommodation is simple and unpretentious, and with just 41 cottages, the resort has a highly prestigious feel and can create the illusion of being totally alone on the beautiful island of Bali. Viceroy Bali: The Viceroy villas offer the best authentic Balinese environment with its traditional architecture accentuated by European fittings. The villas are complimented by private pools, and guests can use the private helipad in the property. Located in the highlands of Ubud, the Viceroy is beautifully hidden away yet is fully equipped with all the modern amenities you’ll need during your trip. 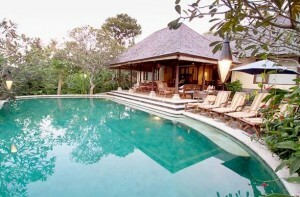 Amandari: For a true feel of the island’s natural environment, Amandari is the resort next to Bali’s own heart. It is as luxurious as the Viceroy, but it is homier and more welcoming, thanks to the natural materials used in its construction. The Amandari has 30 suites, each one adorned with private gardens. Many artists traveling in Bali can’t help being hopelessly attracted to the Amandari. Amankila: With 34 freestanding beach houses sitting on a cliff, the Amankila offers a unique living experience. Out the windows, you will see grand views of the Lombok Straits. There is also a breathtaking 3-tiered pool that is truly one of its kind in Bali. This is great for the adventurous tourists as the private beach on which it is located also offers great snorkeling and scuba diving activities as well as windsurfing, boogie boards, kayaks, open-air buggies, and hobie cats. There is also a dedicated yoga area, a spa, and two restaurants. Four Seasons Bali: For family friendly fun, the best resort is the Four Seasons Bali, which has some of the best facilities for kids. The Four Seasons is located on the white sand beaches near the central highlands of Bali, so it offers quite a view of the Ayung River and is surrounded by 17 acres of lush green rice slopes. Aside from the pools, spas, and bars for adults, the resort also offers Balinese dance performances, garden tours, museum visits, and even children-sized robes that are all designed with kids’ enjoyment in mind. Nusa Dua Beach Hotel and Spa: Do you want to stay where the kings and queens and the presidents stay when they are in Bali? Then choose the Nusa Dua Beach Hotel, a five-star diamond hotel spanning 23 acres of Bali land, surrounded with tropical gardens and the serene shore of the Nusa Dua beaches. The hotel has 382 rooms and suites in all, making it one of the largest on the island. If you don’t want to feel far from home, there’s always the international hotel chains, such as InterContinental Resort, Grand Hyatt Bali, and the Westin Resort in Nusa Dua.